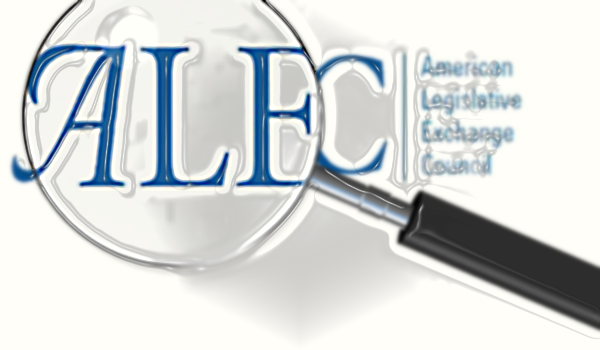 USA TODAY, The Arizona Republic and the Center for Public Integrity released a report today revealing the breadth of so-called “model bills” written by corporations and conservative advocacy groups and distributed through the American Legislative Exchange Council (ALEC). Better transparency was one reason Colorado state Sen. Jerry Sonnenberg said he introduced the bill in 2017, and again last year, at the urging of a tort reform group called the Colorado Civil Justice League and backed by insurance companies, including Nationwide Insurance. “Whenever you add transparency to the mix, it helps all consumers,” said Sonnenberg, a Republican. [The bill], in effect, cast corporations as victims of litigation filed by people harmed by asbestos. The model bill requires people battling the asbestos-triggered disease mesothelioma to seek money from an asbestos trust, set up to compensate victims, before they can sue a company whose product might have caused their cancer. That process can take months or even a year. Many mesothelioma victims die within a year of their diagnosis. Their families can still sue on their behalf, but for far less money. The report follows its rundown of Sonnenberg’s industry-friendly bill with an interview of Chris Winokur, widow of former Fort Collins Mayor Bob Winokur, who died of mesothelioma in 2015, just nine months after his diagnosis. Sen. Sonnenberg is as familiar with ALEC as any legislator in the state. Records show him attending their conferences in 2006 and 2007, the years he received $1000+ “ALEC scholarships. He likely attended in 2017 as well, when he gave a radio interview to a Nashville station where he said was at a “gathering of legislators where he served on an energy task force.” Nashville was hosting an ALEC conference at the time. Bills to modify Arizona’s voucher program were soon introduced. One bore a striking resemblance to model legislation from the Heartland Institute, granting vouchers to any parent who feels their child is unsafe or being bullied at school. The sponsor, Shawnna Bolick, denied any knowledge of the Heartland model. For a deep-dive into ALEC’s longstanding connections to the Colorado legislature, don’t miss Colorado Common Cause’s “ALEC in Colorado report., issued during the summer of 2017, when Denver was hosting ALEC’s annual conference. Sonnenberg is a snake. I wonder how many of the sick elders around here would be shocked that their "good old rancher boy" legislator actively worked to make it harder for them to sue those responsible for their environmental illnesses.